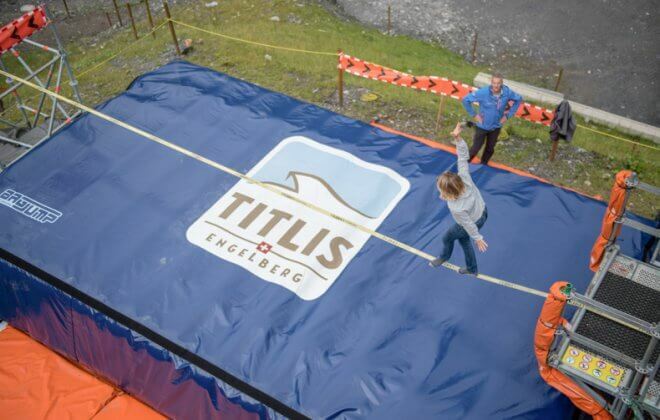 BAGJUMP® Freedrop Airbags - Certified for quality and safety! 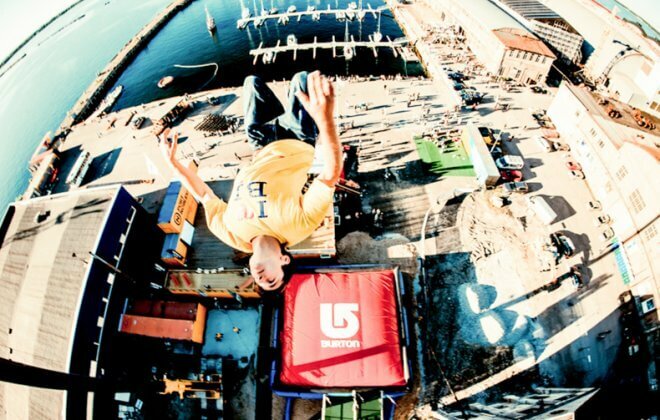 Freedrop means jumping off objects, platforms, and structures into an airbag. It's a fun and adrenaline-packed activity for thrill seekers and families alike. 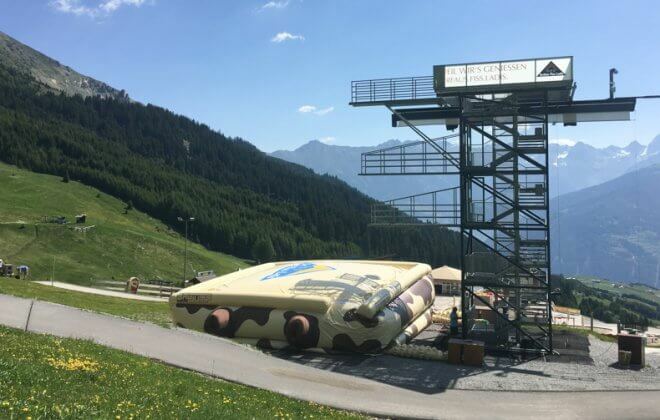 Professionals trust the safety and softness of BAGJUMP® airbags on their jumps for the movie industry from up to 65 meters, whereas public jumpers can experience the free-fall sensation from up to 10 meters. All of our products are certified by the TÜV for quality and safety. 50% of the safety is the airbag and 50% is how you operate it. With hundreds of successful and safe events we will train you on our safety procedures and protocols at your location. Our highest priority when designing any product is safety and functionality. BAGJUMP® airbags are by far the softest and safest airbag systems available. It feels like landing on a cloud. The functionality, safety and reliability of our products is unmatched. With over ten years of experience in high-tech materials and design, as well as an incredibly strong R&D team, we have developed countless airbag systems and pioneered airbag technologies for various fun and extreme sports. Scared of heights? This will definitely get your adrenaline going. You'll feel like a stuntman jumping into our large airbags from platforms of various heights. We offer 2 different products suitable for jump heights of up to 10 m. Smaller jumps are great fun for kids and all age groups and the higher jumps will make the adrenaline junkies' hands sweat. Scared of heights? This will definitely get your adrenaline going. You'll feel like a stuntman jumping into our large airbags from platforms of various heights. 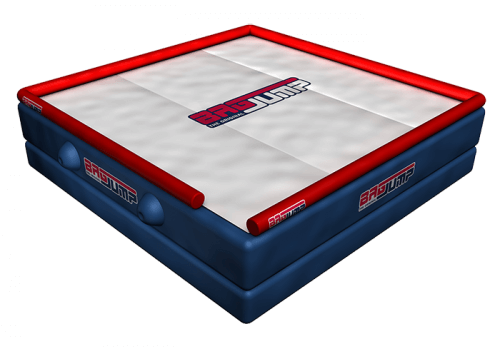 We offer 2 different products suitable for jump heights of up to 10 m Smaller jumps are great fun for kids and all age groups and the higher jumps will make the adrenaline junkies' hands sweat. 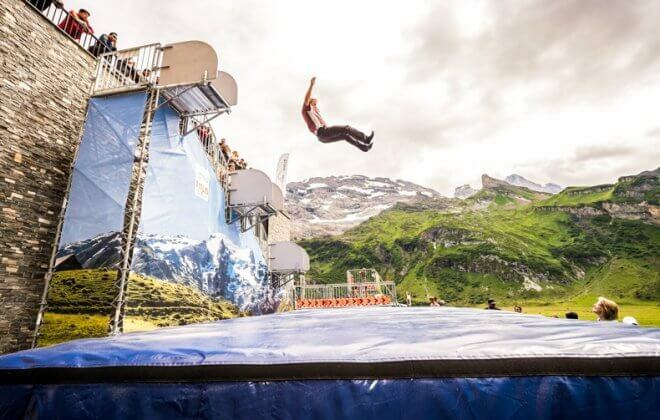 The BAGJUMP® Allround Freedrop Airbag is the airbag of choice for adrenalin seekers. 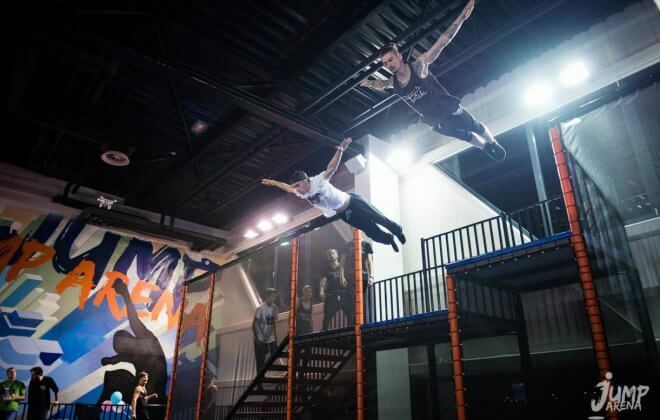 Like bungee jumping without a rope, leaping off tower platforms into a giant soft pillow is the ultimate thrill. 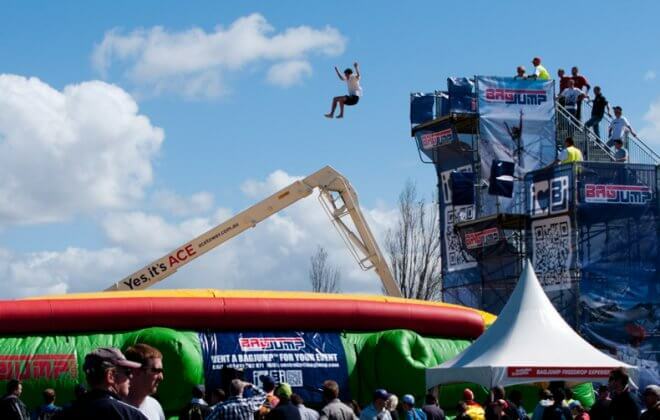 We recommend public jumps up to 10 m (33 ft), but have tested the product with stuntmen to a height of 65 m (215 ft). 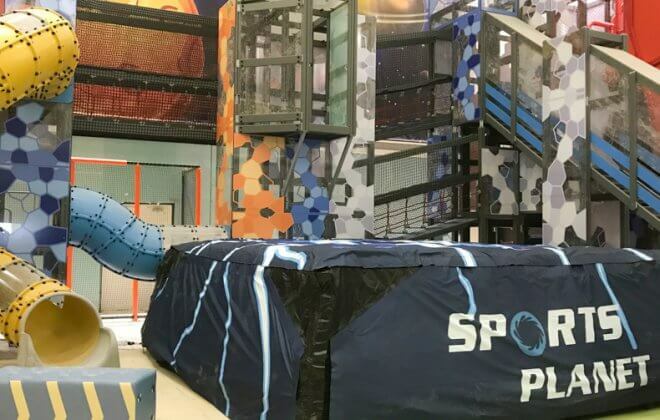 More and more people from different ages and skill levels are experiencing this new attraction as part of festivals, local events or permanent installations at adventure parks, as well as high ropes courses around the world. 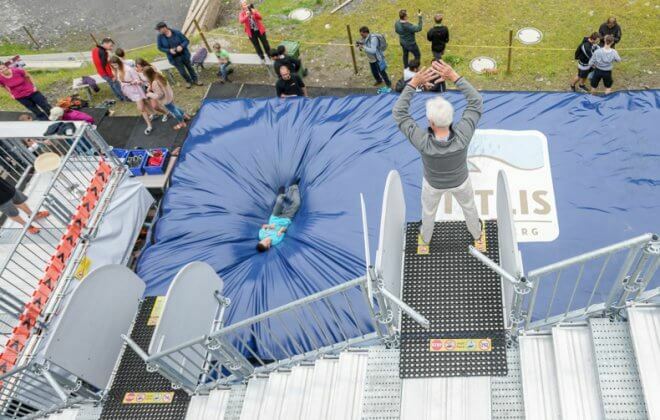 Come and enjoy what it feels like to land in a giant air pillow. If you're looking for an exciting activity for all age groups, this is the thing for you. 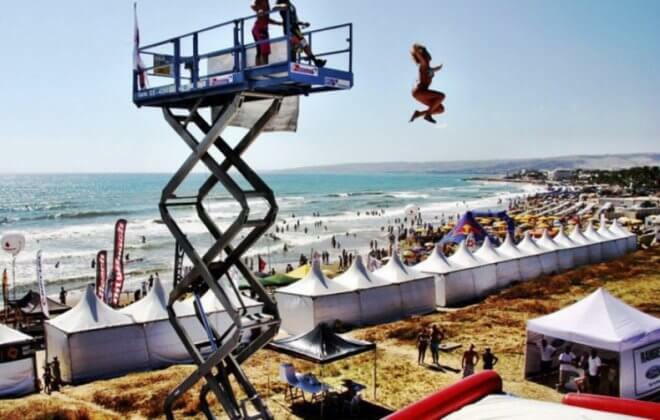 We recommend a maximum jump height of 6 m with several platforms. Depending on the age group of your target audience we will help you find the right jump platform heights. For indoor playgrounds platforms of 1,5 m or 2,5 m are extremely exciting, yet safe for kids. If you want to offer a larger variety for your adventure park or high ropes course, you can step it up all the way to 6 m. Big smiles guaranteed! Soft landings into an airbag require very light and flexible materials in order to provide a soft landing for a safe and fun experience they can’t stop talking about. This is one of many reasons BAGJUMP® has partnered with HEYtex Technical Textiles to develop the ultimate purpose built Topsheets for each application. No standard materials are being used. For BAGJUMP® and our clients the best is just good enough! We have developed the material for our airbag bodies over the course of several years, putting it through extensive testing to ensure it meets the needs of top athletes. We've ensured that our materials are light-weight, weather resistant and extremely tear resistant. We've set the benchmark for the industry. Thanks the reduced weight you will move, pack & transport up to hundreds of kilograms/pounds less, which means less manpower and less costs. Ever wanted to go big? This is the right airbag system for you if you want to push yourself to the next level. Our most versatile airbag system. This is the highly portable standalone version of our foam pit airbag.